I wonder if we will be able to survive this. Such as uTata Nelson Mandela still live amongst us? Bekunani ukuba ningizwile ukuth ngithin? Welcome/accept me I am one of you. Accept/Welcome me I am one of you. SORRY MAAN SISI YOUR POEM I GET LOST AS YOUR POEM GOES ON, I GET IT. POETS WRITE THROUGH EMOTIONS DRIVEN BY INSPIRATION BUT THEY ALSO REWRITE THEIR POEMS THOUSANDS TIMES SO AS THE POEM MAY BE RELEVENT, AND MAY NOT BE HARD TO RELATE TOO. Pearl Sanelisiwe Ndlovu sought solace in words and poetry at the age of 15 when her beloved grandmother passed away. 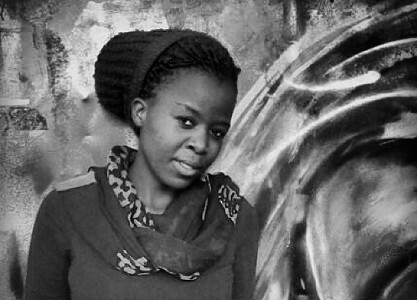 Commonly known as Le Soulful Poet Gatsheni, Pearl is a young poet from Kwazulu Natal, South Africa. Her work delves into varied topics but she mainly uses her words as way to make sense of life’s challenges. She improves her writing and reciting skills by performing as much as she can in her hometown. Pearl has an insatiable passion for art, she believes poetry is her calling and not a mere hobby. “We are the prophets of the past, present and future” she says.